New Delhi, February 10th, 2017: The largest state in the country by population Uttar Pradesh will go for poll next month. Most parties have announced their candidate list along with frivolous giveaways. The challenge for the populous state remains and it is not just a challenge for the state but also for the country. 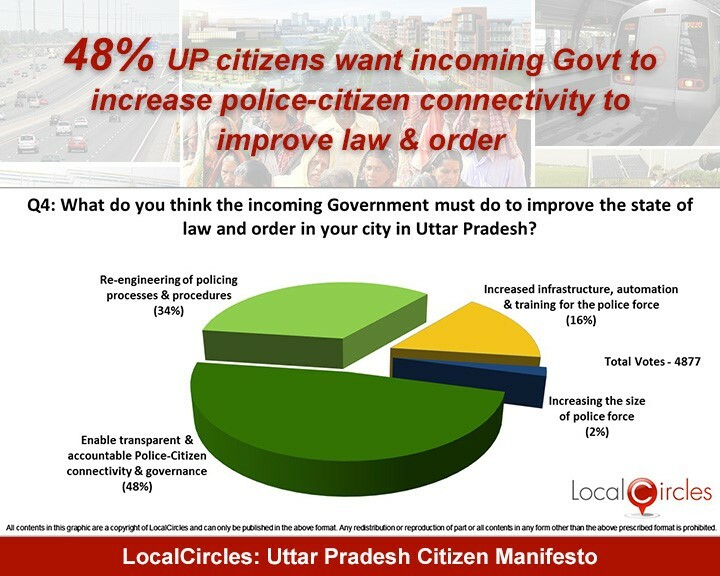 To understand what UP citizens want and what are the challenges that the state, citizen engagement platform LocalCircles did a survey. The objective was to prepare a citizens manifesto for the state so that all political parties focus on what citizens and the state need. Instead of caste or worse trying to woo voters with freebies. Basic law and order, healthcare infrastructure in the state is broken. 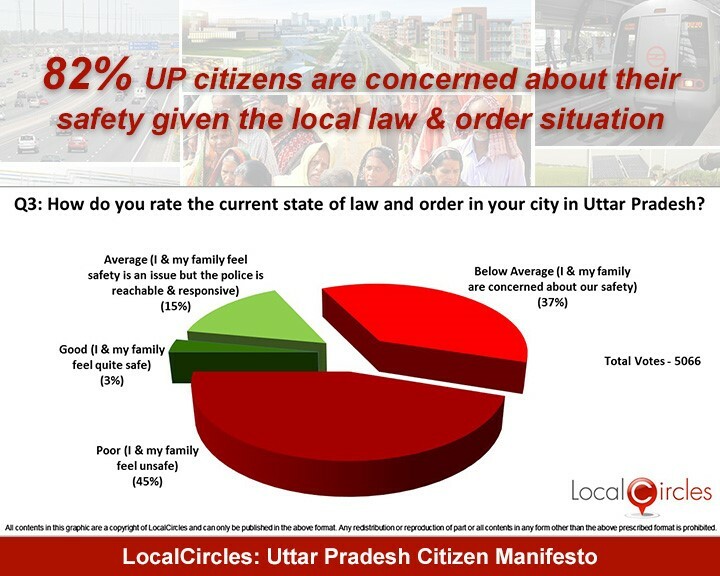 82% of the citizens polled are concerned about their safety, a primary responsibility of any state government. If citizens of the state do not feel safe than outside investment will never come into the state. 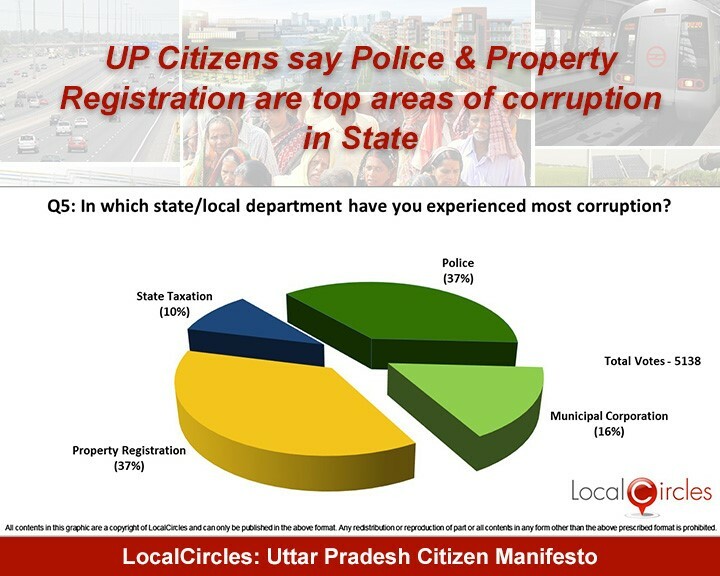 Combine this with high corruption with citizens pointing out police and property registration being the two key areas for with the highest amount of corruption. 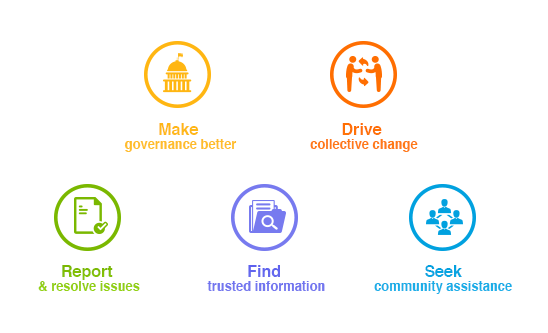 Therefore, what the citizens want to know what is the plan political parties vying for their votes have for reducing and removing corruption in these areas. 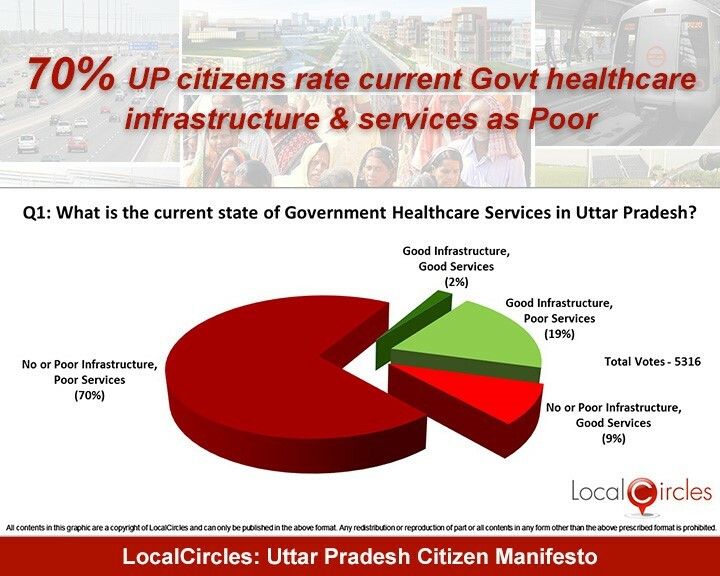 Public healthcare infrastructure is falling apart in the state with 72% of the citizens polled rating it as poor. 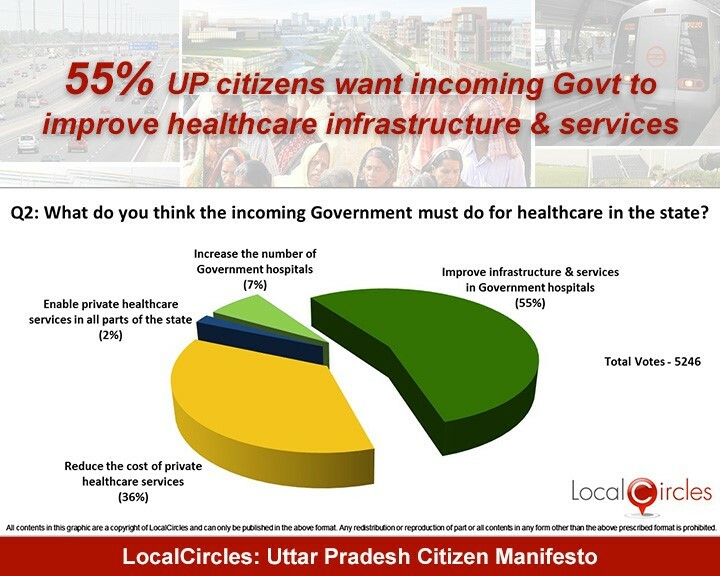 There have been numerous scams in healthcare in the past, and 55% of citizens want the incoming government to improve the healthcare infrastructure and services. Unfortunately none of the political leaders talk about this in their speeches to voters. 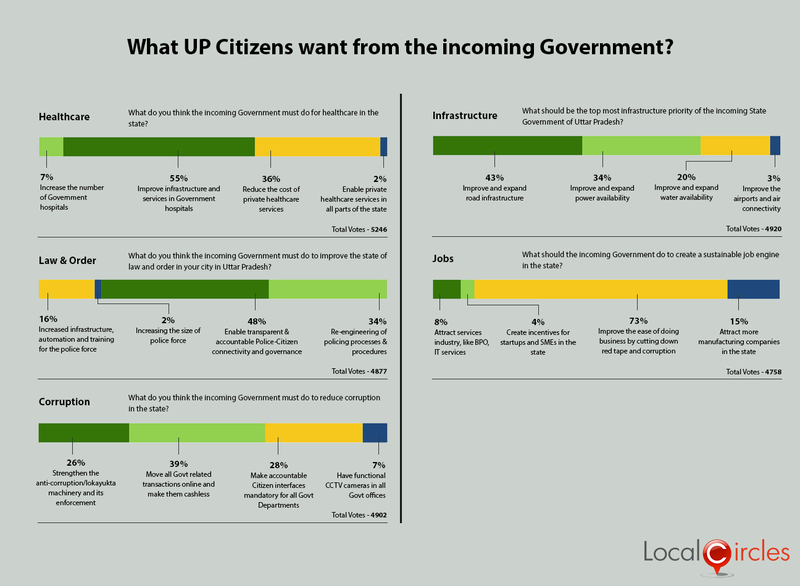 To reduce corruption in the state government 39% of the citizens polled want the government to use technology and move citizen-government interface online. Again this is one important reform that politicians rarely talk about. 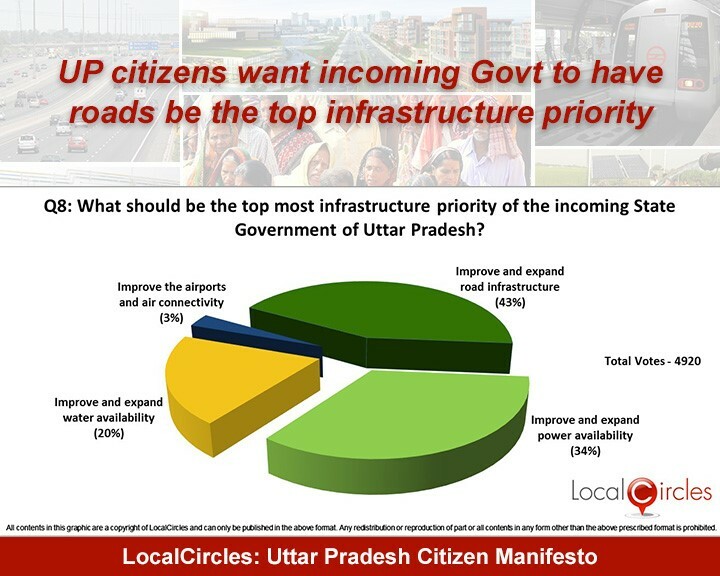 Citizens also want corruption redressal systems like Lok Ayukta to be strengthened in the state. 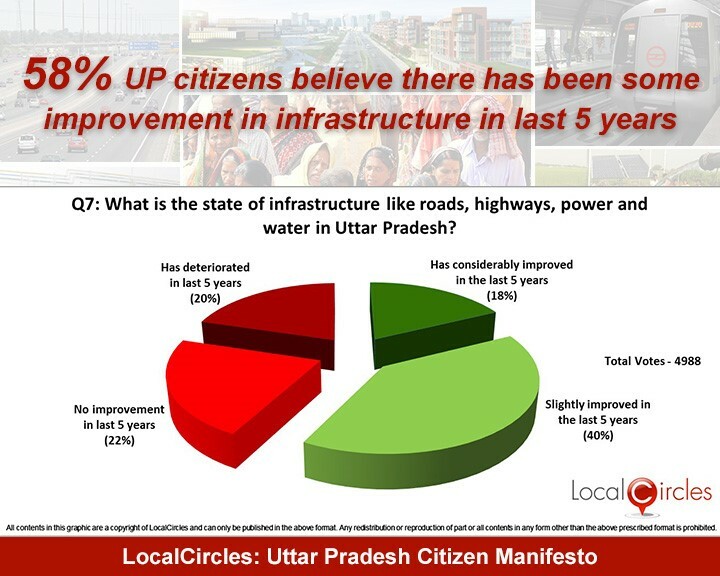 While 58% of the citizens polled see an improvement in infrastructure, they want more investment in improving the road infrastructure by the coming government. The citizens of the state do see major opportunities for jobs and an overwhelming 91% of the citizens see no or little job opportunties in the state. Due to the high corruption and ease of doing business is also low in the state, with more than 73% citizens polled want the incoming government to cut red tape and reduce corruption. If politicians are listening to the citizens than they should take into account the issues highlighted by the citizens below and the demands put by the citizens if they want to win the coming polls.